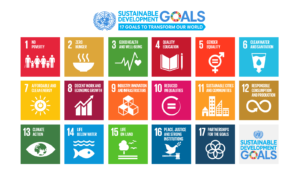 This week the European Commission released its long-awaited paper on how the Sustainable Development Goals and Agenda 2030 can serve as a blueprint for the future vision of the European Union. It is an interesting time to be thinking about vision as we face potentially divisive parliamentary elections, questions around the rule of law and democracy, challenges to solidarity and break away of one member of the EU. Given what is being faced, are the SDGs actually enough or do we need to a new type of vision? One of the things I have learnt over the last 10 years at Eurodiaconia is that going deep into the ‘why’ of any situation is as important as understanding the ‘what’. The SDG’s give us the ‘what’ – the need for better urban planning, for reducing inequalities, ensuring accessible and quality healthcare, ensuring access to water and other public services – all very important – but very little about the ‘why’. The SDG’s do not tackle tax avoidance, wealth, greed, low standards of work and social benefits – the ‘why’ of the ‘what’. For that to happen we need to see the SDG’s relating to human rights and sustainable social investment. That is why Eurodiaconia, last year, looked at how the SDGs can work with the European Pillar of Social Rights to produce a vision that is about the ‘why’ and the ‘what’. Without one we will never reach the other. This is part of our diaconal practice – going deeper, looking at what is really needed for transformation – not just using a sticking plaster but finding what caused the wound in the first place as Dietrich Bonhoeffer put it. Too much of our social policy is about quick fixes and quick popularity with the electorates. We need to see social policy as going beyond party politics and seeing it as a resource for human flourishing. Right now, as we see growing spatial, democratic, economic, political and social fissures in our societies, we need to avoid divisions and focus on the Common Good. Focusing on the common good is what will make the SDGs successful, focusing on the common good is what will allow us to see how our democracies and our politics should work and focus on the common good might go some way to addressing the ‘why’ as well as the ‘what’.